1. This interactive eTool starts with the following parallelograms. 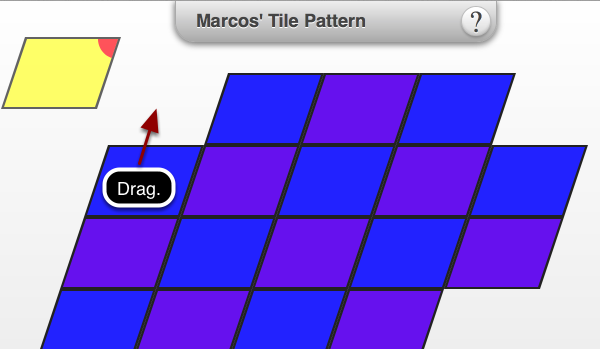 Drag the blue tile to tessellate. 2. Drag until the entire space is covered. 3. Continue to double click to rotate at 90 degree intervals.